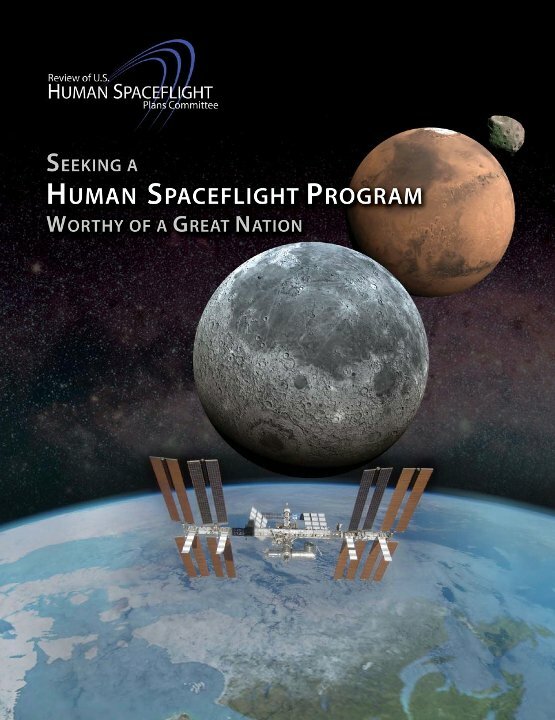 At the request of the White House Office of Science and Technology Policy a committee conducted an independent review of ongoing U.S. human spaceflight plans and programs and alternatives. The committee included notable astronauts, scientists, engineers, and the former CEO of Lockheed Martin. 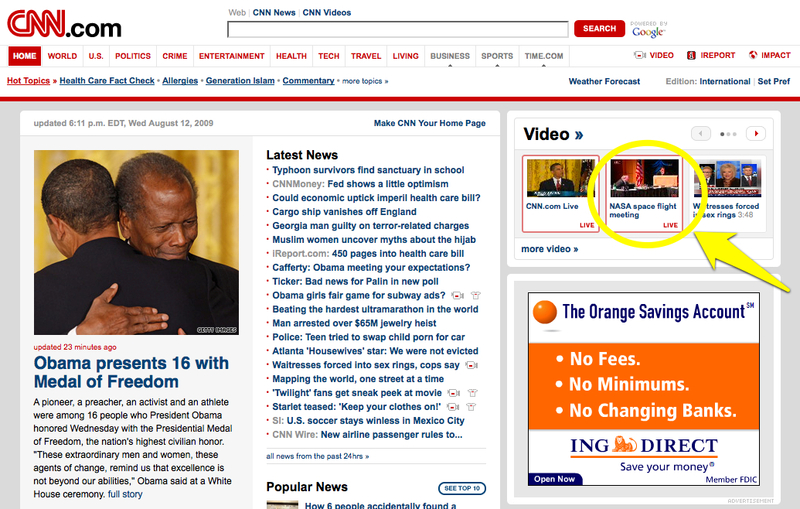 I was the community manager, lead graphic designer, and online strategist for this project. I managed a team that developed the website and social media outreach for the committee. 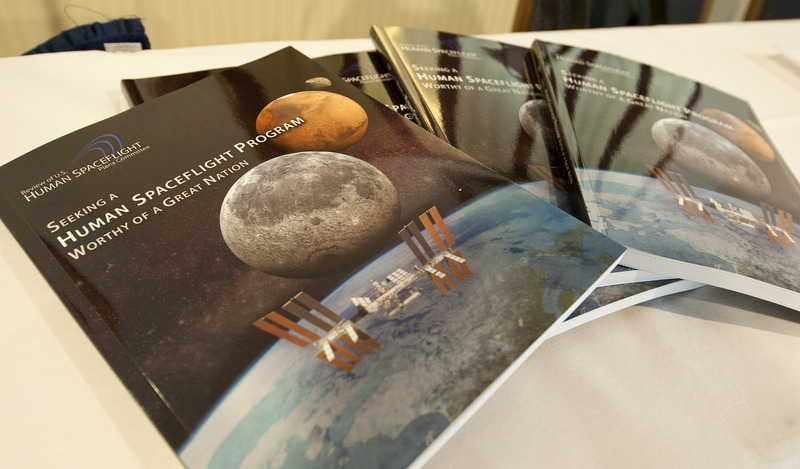 We used Facebook, Flickr, Twitter, and Vimeo to engage the American audience about the future of American human spaceflight. By crafting intersecting stories about the past and present of human spaceflight a conversation developed with the audience about where we might go in the future. 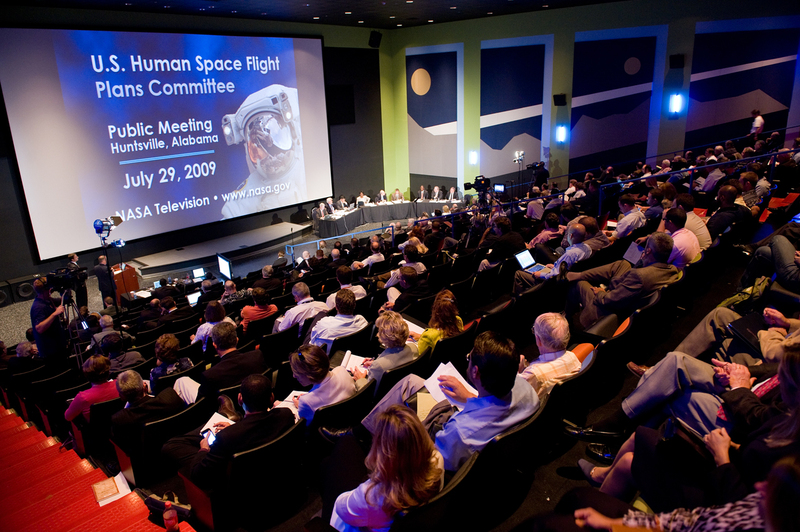 The public meetings were opportunities for the audience to interact in person with the committee members and provide feedback regarding their research. 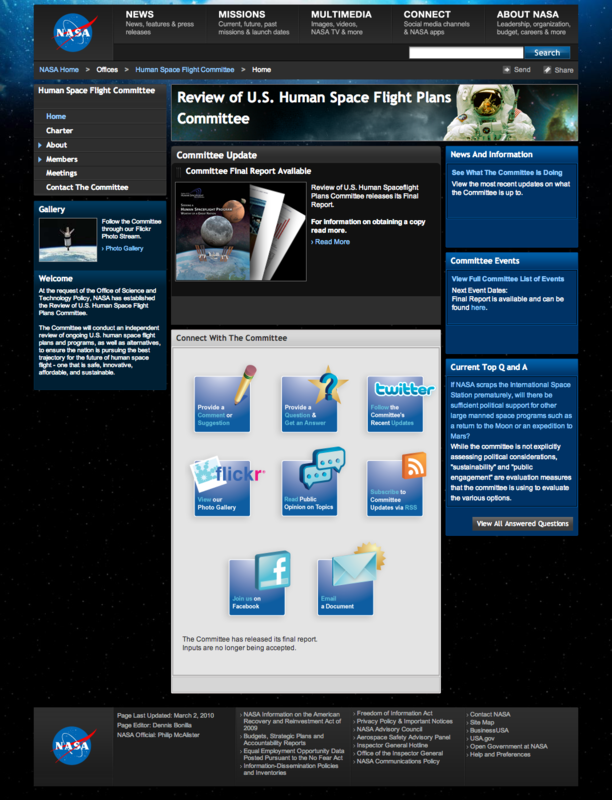 Web pages were developed that included input from the american public, notable scientists, and public representatives. All public meetings were recorded and uploaded to Vimeo for further discussion. Questions were answered and updates were provided on the social media streams. I further supported the committee by livetweeting, photographing, and recording video of all public meetings throughout the country. 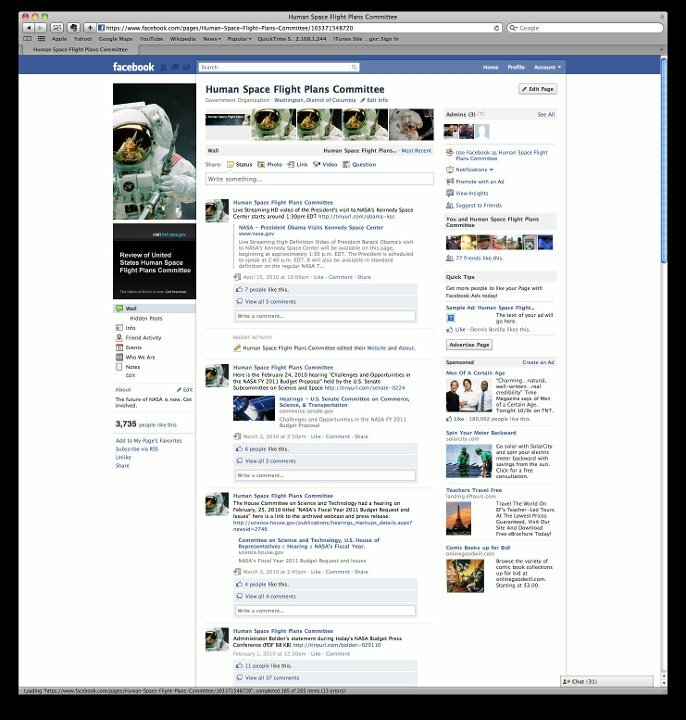 Successes included coverage on major news networks and trendsetting audience engagement throughout our social media accounts and NASA.gov. The Augustine Committee presented a final report that my team designed and delivered to the White House on October 22, 2009.